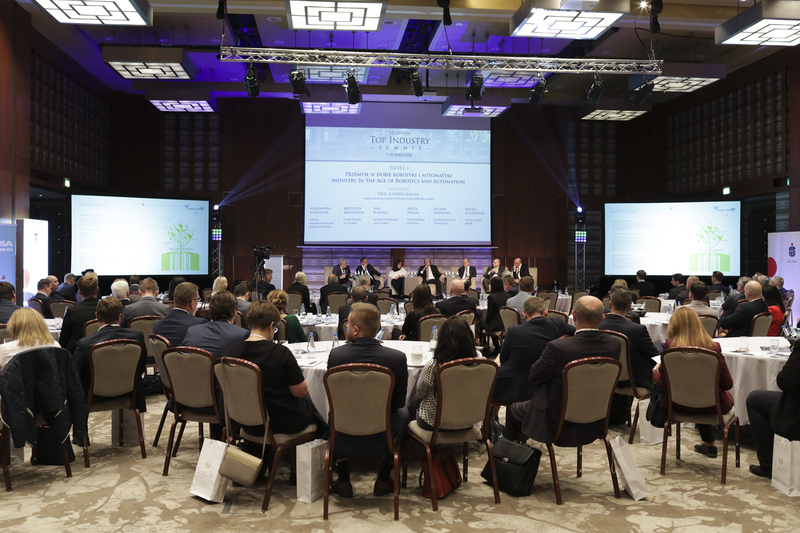 Four discussion panels, three speeches, thirty speakers, and fourteen winners of prestigious awards – this is just a brief description of the 7th edition of “Top Industry Summit”, which took place on November 7 at the Westin Warsaw hotel. The event culminated in the “Top Industry Diamonds” awards gala. 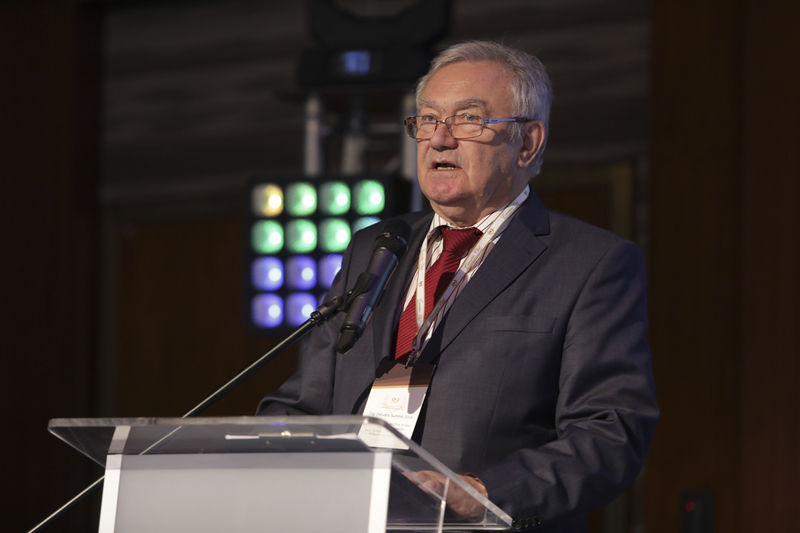 The guest of honor of the conference was Jerzy Kwieciński, Minister of Investment and Development, whose opening speech focused on the need to develop an ecosystem for innovation and start-ups. The Minister also emphasized that Poland is the fastest growing economy in the European Union. The automotive industry deserves a special mention in this context, as electromobility and production of components for electric vehicles constitutes a great opportunity. The main topic of the first discussion panel was industry in the age of robotics and automation. 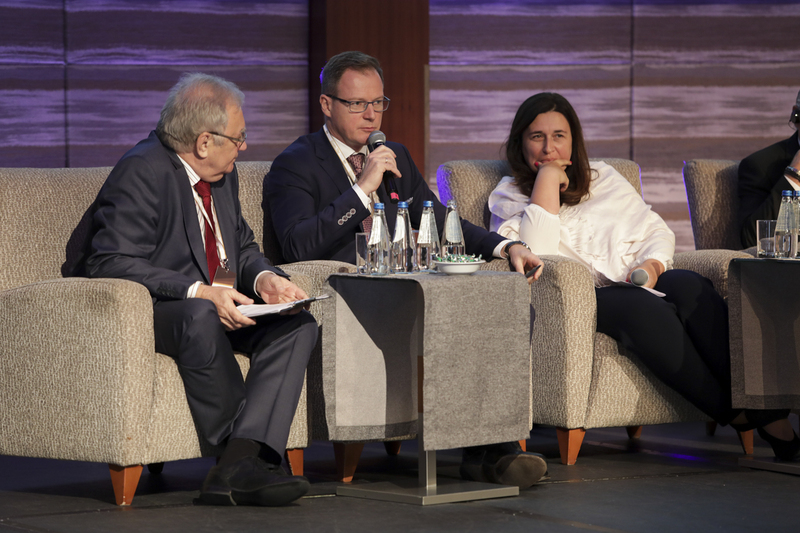 The panel was moderated by Prof. Andrzej Kolasa – Dean of the Faculty of Production Engineering, Warsaw University of Technology, and featured the following panelists: Aleksandra Auleytner – Partner, Domański, Zakrzewski, Palinka law firm; Krzysztof Krystowski – President of the Board, PZL Świdnik; Iain Maxwell – Managing Director, Canon Polska; Artur Pollak – President of the Board, APA Group; Michał Ziajowski – CEO, Precia Polska, and Stefan Życzkowski – President of the Board, ASTOR. The panelists started by discussing the universal definition of revolution 4.0 and robots taking over physical work from people. The conclusion of this discussion was that this process will not be quick, but it may cause increased social stratification associated with unemployment and the need for retraining. The ethical aspects of robots’ work and their criminal liability in case of mistakes were also discussed. 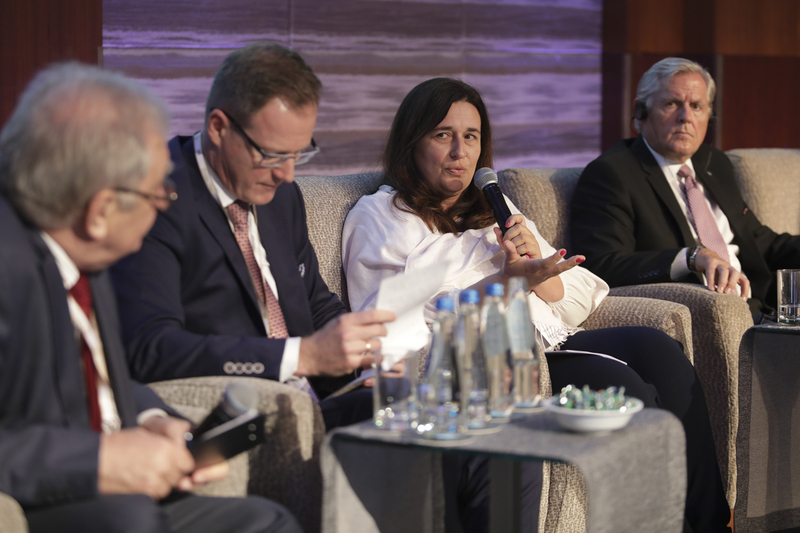 The panelists agreed that it is essential to adjust and keep up with the progressive revolution 4.0, so that enterprises do not lose their competitive position. The second panel focused on issues related to cyber security in the era of artificial intelligence, Big Data, and machine learning. Professor Tomasz Szapiro, who moderated the discussion, invited the following speakers: Marcin Bawor – Account Executive, Poland&Baltics, MicroStrategy; Michał Chomczyk – IT/CT Project Coordinator, National Center for Research and Development; Piotr Ciski – Managing Director, Sage Polska; Maciej Kopański – Development Director, ENGIE Polska, and Wiesław Łodzikowski – Director of Technology, NASK SA. The discussion began with examples for the application of artificial intelligence in business, such as intelligent heating of buildings based on whether someone is actually in a given room. The next topic discussed was Big Data, the definition of which was formulated as real-time processing of large amounts of quickly changing data appearing at a high frequency. Another topic discussed was artificial intelligence and Big Data in the context of practical applications, such as analysis of customer behavior during shopping or the increasingly popular use of drones in enterprises. In conclusion, the era of artificial intelligence and all new technologies serve the development of mankind, but they must be utilized in a wise way. 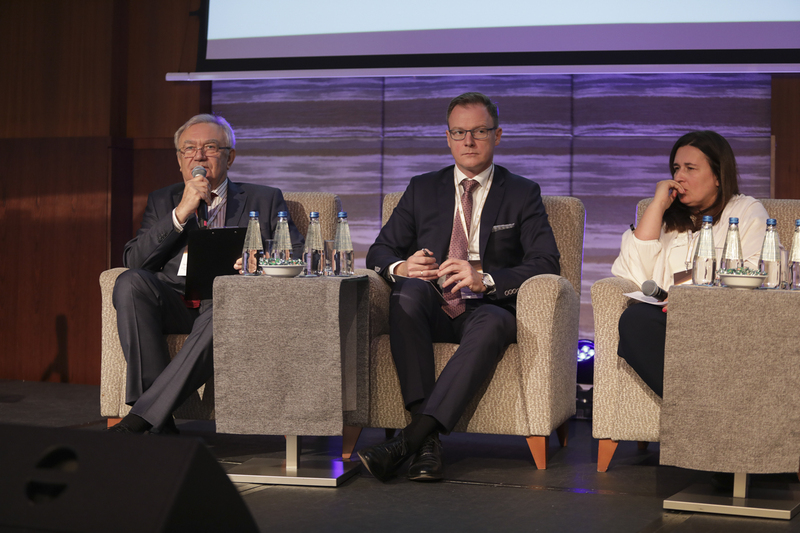 The contemporary vision of mobility and the future of the automotive industry were the main topics of the third discussion panel led by Roman Kantorski, President of the Polish Chamber of Automotive Industry. The discussion began with the revolution in transportation and its impact on the logistics industry. The participants, including: Andrzej Bułka – Managing Director, Freight FWO Polska; Janusz Grądzki – Director of the Department of New Technologies, ENGIE Polska; Professor Jacek Kijeński – President of Polish Hydrogen and Fuel Cell Technology Platform; Kazimierz Rajczyk – Energy Sector Managing Director, ING Bank Śląski; Marta Surowiec – Communications and Brand Management Director, Robert BOSCH, and Andrzej Szałek – Advisor to the Board, Toyota Motor Poland, emphasized that it is extremely important to maintain a balance between the development of eco-transport and ensuring the security of the supply chain and the labor market, which is becoming more and more distorted and lacks qualified employees. 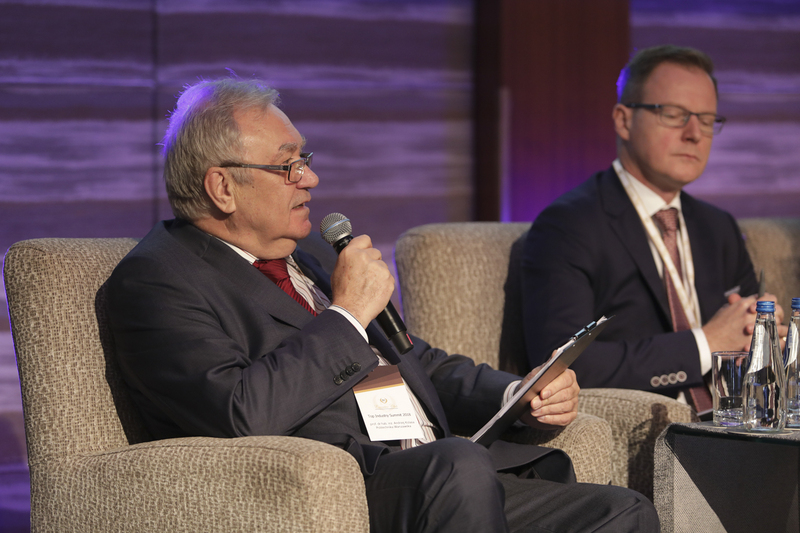 Janusz Grądzki referred to the moderator’s question – which will come first, the chicken or the egg? – or, in this case, electric cars or charging stations? 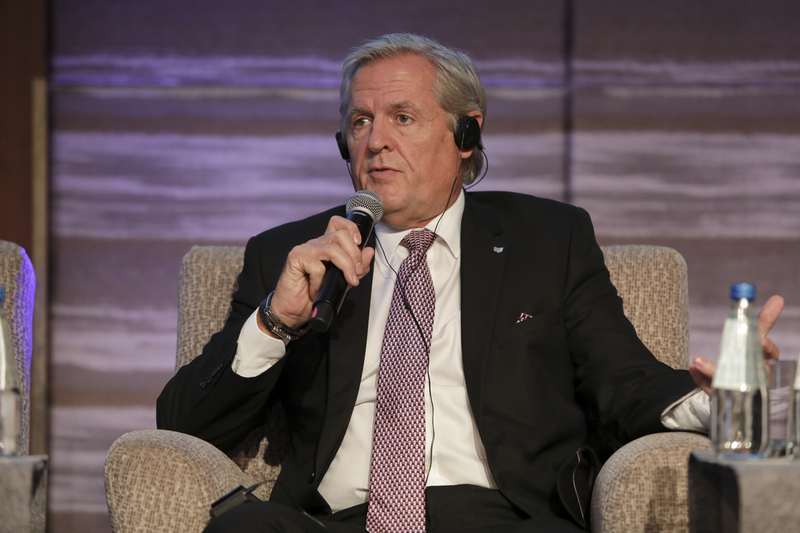 The speaker pointed out that car manufacturers are introducing electric cars, among others, due to regulations imposed by the EU, so the charging infrastructure is also being systematically developed. Now it is possible to drive through Pomerania using an extensive car charging network, with more and more such points appearing on the Polish map. 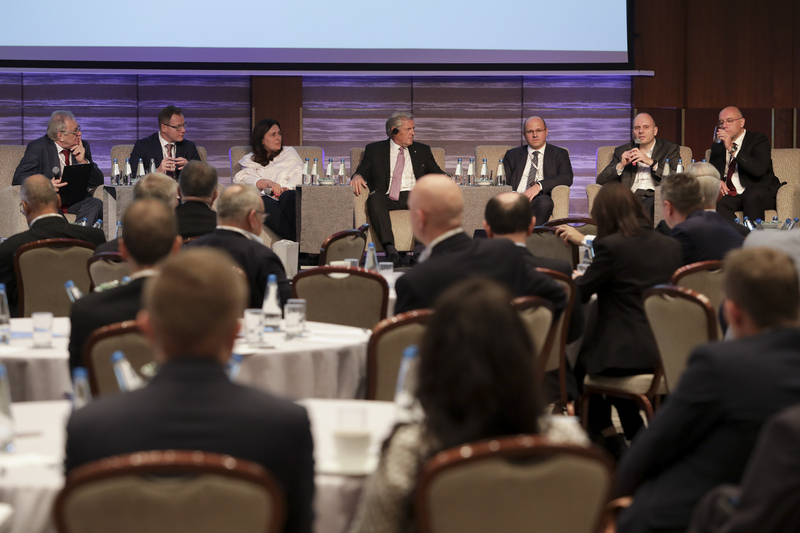 The panelists also took up the topic of hydrogen cars and financing, but the main conclusion of the debate was that special attention should be paid to the development of competences necessary in the modern business and automotive industry. 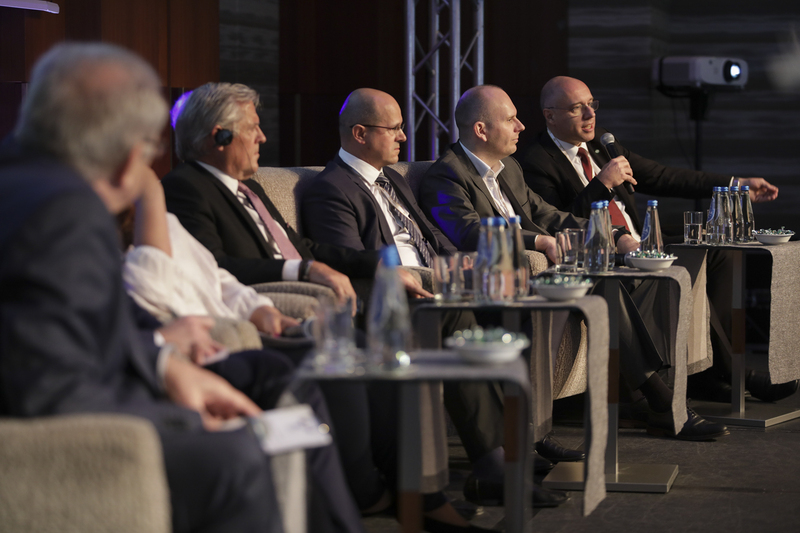 The last panel, devoted to the efficiency of the gas and energy sector in the era of the fourth industrial revolution, was led by Waldemar Szulc, Director of the Economic Society Polish Power Plants. The moderator started the panel with a bold question concerning the ongoing revolution, namely: when will electrical cables become obsolete? The speakers’ forecasts were not very optimistic, as they estimated that this may take place in 2050 or even later. 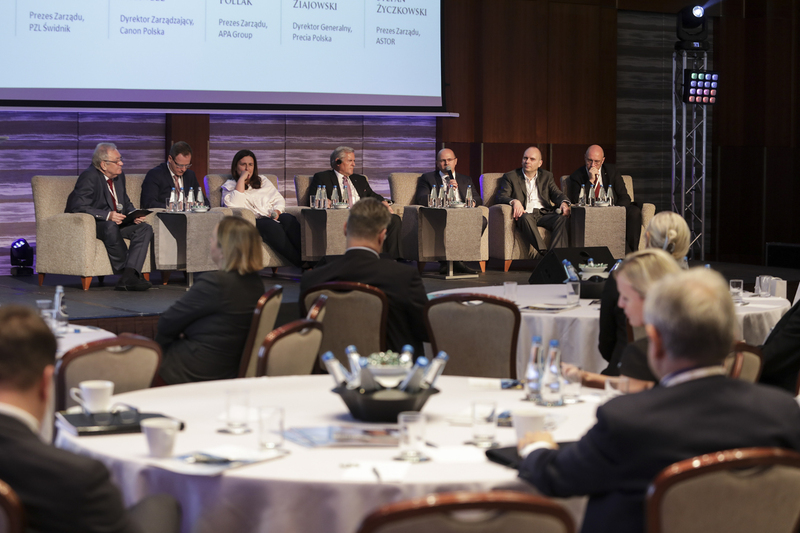 Adam Burda, Director of Strategic Customers Department – Energy, Oil&Gas, TMT, PKO Bank Polski, said that it is becoming increasingly difficult to obtain financing from banks for large energy investments, which is due to, among others, the globally shaped prices of raw materials. 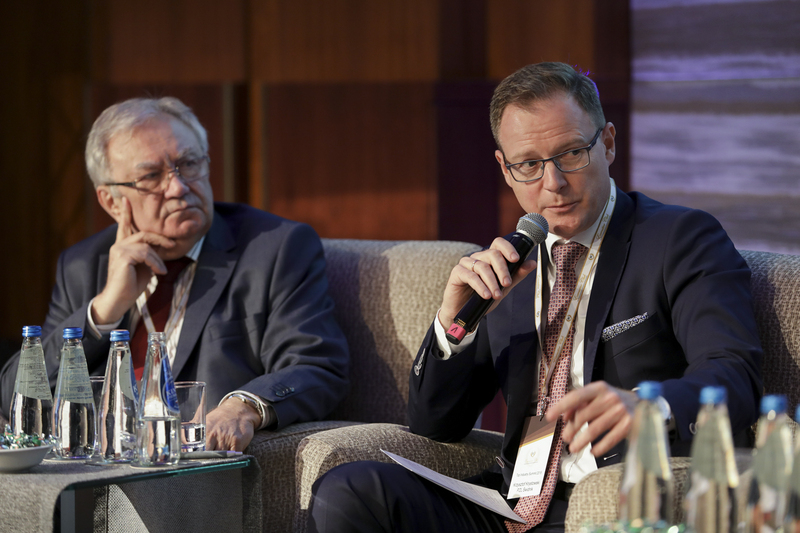 Piotr Czak, President of the Board, PGE Ventures, also referred to the issue of financing and stated that it is easier to acquire capital for renewable energy investments than conventional coal-fired power plants. He stressed that it is also worth looking for support on the Asian market. 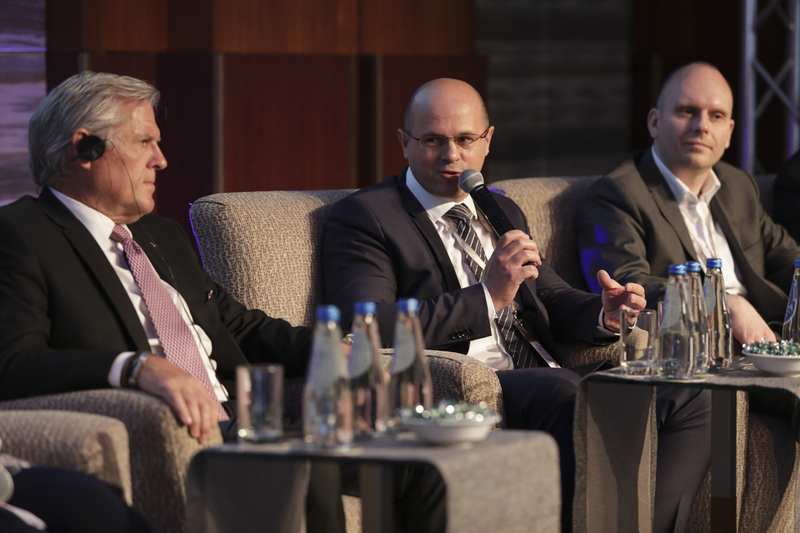 The participants of this panel, included: Andrzej Modzelewski – Member of the Board, innogy Poland; Marcin Ludwicki – President of the Board, Unimot Energia and Gaz; Michał Orłowski – Deputy Executive Director of Investment Projects, TAURON Polska Energia, and Adam Pantkowski – President of the Board, Vortex Energy Polska, also discussed the perspectives for the development of renewable energy on the coal-dominated energy market and the implementation of innovations to improve the sector’s operation. 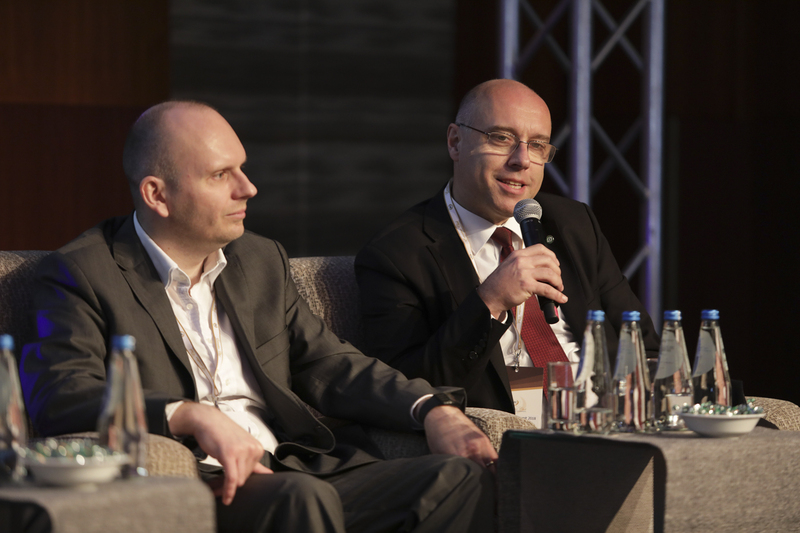 The discussion panels were complemented by presentations given by Mariusz Wnuk – Vice President of the Board at Pocztylion Arka PTE S.A. and Piotr Jagielski – Area Manager at NASK S.A., who presented insurance funds and an industrial network protection system. The highlight of the event was the evening gala of “Diamonds Top Industry”, officially inaugurated by a speech of Minister Jerzy Kwieciński. During the ceremony we honored the most important achievements and the most outstanding companies, projects, products, and personage in the entire industry. This year 10 diamonds and 4 distinctions were awarded in 10 categories!